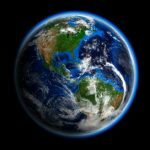 A new report by the National Academies of Science, Engineering and Medicine proposes a series of Earth science missions for NASA to pursue over the next decade, Space News reported Friday. The recommended satellite missions could cost between $300 to $800 million each and are intended to help scientists understand changes in the Earth’s climate, water cycle, soil and other resources, the report said. NASA could run the missions or award the programs to entities within the scientific community through a competitive process. The proposals include a mission to measure aerosols in the atmosphere worth about $800 million; an exploration of clouds, convection and precipitation, with an estimated cost of $800 million; and a spacecraft that will measure mass change in snow, ice and ocean water under a $300 million program. The National Academies also recommended a $650 million study of surface biology and geology as well as a mission to investigate surface deformation and change, worth approximately $500 million. The decadal report calls on NASA to launch a new set of medium-class Earth science missions, dubbed Earth System Explorer, which would kick-off three competitively selected Earth science missions that would cost no more than $350 million each. The report also urged NASA to establish the Incubation program that would support the development of technologies required to perform high-priority science missions as well as expand the existing Venture Class of Earth science explorations.